Measure levels of nitrogen oxide (NO-NO2-NOx) in the emissions from a source using chemiluminescent technology. Servomex 4900 Continuous Emissions Analyzer. Call 281-421-1321 or email sales@pco2.com for pricing and availability. Flame Ionization Detector, P/N: FID 006. For more information, please call 281-421-1321 or email sales@pco2.com. Flame Ionization Detector, P/N: FID 004. For more information, please call 281-421-1321 or email sales@pco2.com. Universal Analyzer Thermal Cooler, P/N: 560SS. For more information, please call 281-421-1321 or email sales@pco2.com. We are now offering support on S-10877A industrial LCD Screen Modules. Please give us a call today for more information. We are now offering support on ABB PGC2007 gas chromatorgraphs. Please give us a call today for more information. We're now offering support on ABB PGC2100, PGC3100, Vista I & II Gas Chromatographs. Please give us a call today for more information. This Elster AMCO Water line of high precision oscillating piston oil flow meters covers a range of flows from 2.6 to 800 GPH. These meters are capable of handling a wide viscosity range including light and medium heating oil, diesel, and even heavy heating oil (meters 3/4” and 1”). Accuracy is ±1% throughout the operating flow range for each meter. Each meter is tested with #2 oil at 70°F to verify the accuracy. Please contact us at 281-421-1321 or sales@pco2.com with any questions. The IRIS High Tension Ignitor is designed to provide reliable ignition and or warm up when and where required. It can be applied to boiler applications from industrial to utility lime and cement kiln heaters, etc. The multi-stage ignition will provide a dependable and reliable source of ignition whenever called upon regardless of the conditions. Please call or email for pricing and availability at 281-421-1321 or sales@pco2.com. The IRIS GHE High Energy Ignitor is a non fouling high energy device, designed to directly ignite all liquid and gaseous fuels. The High current Arc is able to ignite any fuel and capable of "burning" through all sorts of dirt and contamination at the Arc Probe tip. The IRIS Model P905 and 950S Infrared Temperature Measurement Pyrometer was designed specifically for continuous-duty monitoring of the high temperatures in Sulfur Reactor furnaces. 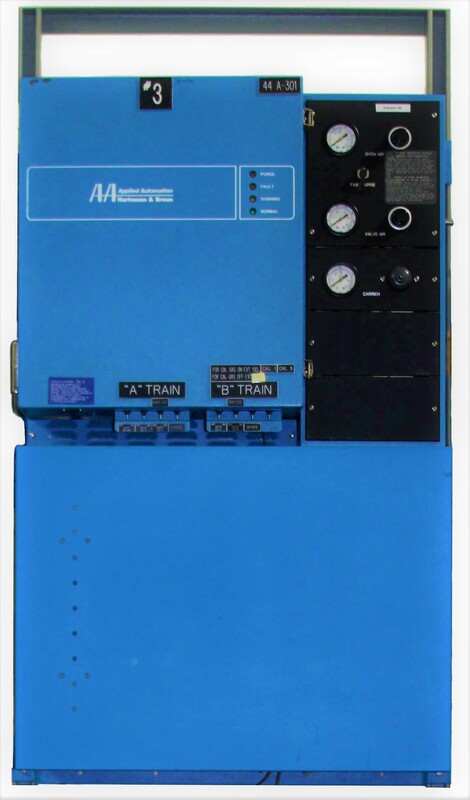 The model P222 signal processor uses advanced microprocessor technology for detection and monitoring of Flare Stacks. The model S256B viewing head is ground mounted up to 1000 feet from the flare stack tip. The IRIS Watchdog III UV Flare Stack Pilot Monitor is an effective replacement or supplement to thermocouples or optical IR systems. The IRIS Model 600 Ultra Flame Rod is a reliable Flame Detecting system based on the proven principle of measuring rectified current flow through a flame rod when a flame touches it. The S512 viewing head incorporates a PbS photo detector which has a spectral response that ranges from 1000-3000 nm (nanometers). The S511 viewing head employs a Ge (germanium) photo detector which responds to a spectral range of 750-1900nm (nanometers).